CIT Healthcare is committed to helping healthcare companies grow. We offer comprehensive financing solutions and advisory services across the healthcare industry, such as Leverage Finance, Asset-Based Lending, Mergers & Acquisitions, and Healthcare Real Estate Finance. With deep expertise and experience, and a focus on middle market companies, we offer tailored products and advice that meet our clients’ most complex challenges. For more information, visit http://www.cit.com/products-and-services/corporate-finance/healthcare/index.htm?CMP=809 or call 800-547-7026. Growth and potential should never be ignored. The affordable seniors housing market has been making moves. Learn the significance of them: Lisa Alecxih, Senior Vice President, The Lewin Group, (Moderator), Ron Lloyd, President & Founder, RDL Architects, Nancy Spring, President, CARING Housing Ministries. 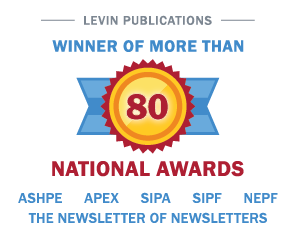 Go to http://www.levinassociates.com/conferences/1206b-online-conference or call 1-800-248-1668 to register.